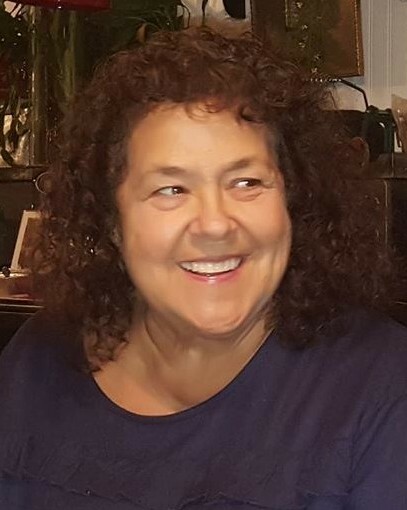 Cynthia T. “Cyndi” (Boucher) Griffin, 65, of the Forestville section of Bristol, passed away unexpectedly on Thursday, November 8, 2018 at Hartford Hospital surrounded by loved ones. Cyndi was born on August 3, 1953 in Eagle Lake, Maine, daughter to the late Valier and Julie (Raymond) Boucher. She graduated from Bristol Eastern High School and worked most of her career for Stanley Works in New Britain. She had a great love for the outdoors and was so proud of her beautiful yard she created with her own hard-working hands. Cyndi was the kindest and most loving person you knew, she loved with all her heart and soul. Her family was the center of her world and she devoted her whole life to making the lives of her children and grandchildren the best possible even when she struggled with her own health. If she could, she would spend every day surrounded by her children and grandchildren, as they were “the air she breathed” and brought the purest of joy to her heart. She is already deeply missed and will never be forgotten. Cyndi leaves behind her children, Tracey (Griffin) DiBlasi and her husband David DiBlasi, of Rocky Hill, and Jesse Griffin, of Bristol; her grandchildren, Cristina DiBlasi, Jesse Griffin (lil’Jess), Dominic DiBlasi, Giulia DiBlasi, Ekaterina LaBella, and Maria LaBella; her siblings, Pauline Caron and her husband Paul, Janice Sylvia and her husband Tony, Doreen Yeske and her husband Cliff, her sister-in-law Karen Boucher; her devoted neighbor, Ceil Iskra; and several nieces, nephews, extended family and friends. She was predeceased by her siblings, Margaret and Richard Boucher. The family would like to thank the Hartford Hospital Kidney Transplant Team for the exceptional care and kindness you showed my mom, particularly Dr. Serrano, Patricia Attianese, RN and Trisha Blake, PA and to the Hartford Hospital Cardiac ICU for the compassion you provided to the family during her final hours here with us. A Memorial Mass in celebration of Cyndi’s life will be held at 10 AM on Friday, November 16, 2018 at the Church of Saint Matthew, 120 Church Avenue, Bristol, CT 06010. Family and friends are welcome to gather at the church an hour before mass from 9 to 10 AM. Burial will be held privately at the convenience of the family. Bailey Funeral Home, 48 Broad St., Plainville is assisting the family with arrangements.